The night sky was clear and the air a bit chilly on Friday, January 9, typical early winter weather in San Francisco. But the evening would be unusual for reasons other than the climate. 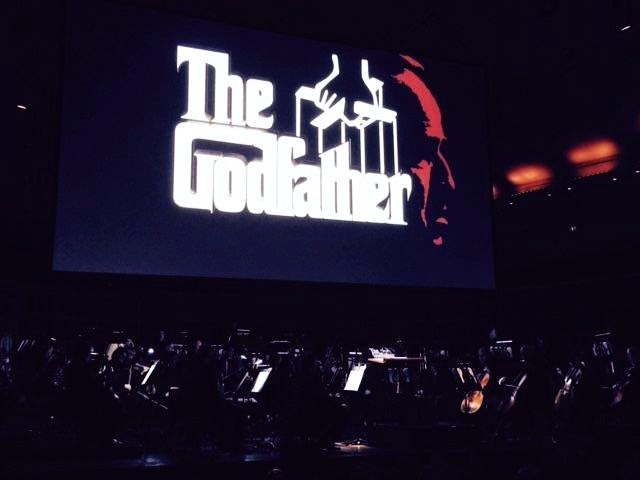 It was the night that, at 8 pm, the San Francisco Symphony would premiere Francis Coppola's The Godfather (1972) with live orchestral accompaniment. It was also the night that, at midnight, the Golden Gate Bridge was to shut down - through the weekend - for the first time in its 77 year history. The evening would prove to be eventful in more ways than one for those of us attending the three-plus hour symphony performance who also live north of "the Gate." then well-known: Marlon Brando, whose career had been in decline for some time and had negligible "box office clout" by the early '70s. Brando would win, and notoriously refuse, the Best Actor Oscar for his performance as Vito Corleone and go on to see his career revived. 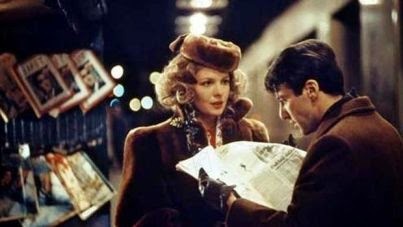 Most of the "unknowns" in the film's other lead and featured roles would gain immediate cachet, and some - Robert Duvall, Diane Keaton and Al Pacino - would eventually win Oscars for their work in later films. The cinematography of Gordon Willis (Klute, All the President's Men, Annie Hall) was instrumental in establishing and underscoring The Godfather's atmosphere and style. Though the studio had been nervous about Willis's chiaroscuro-heavy approach, his expressive photography and lighting stand as hallmarks of the film. And there is Nino Rota's acclaimed musical score. Rota, born in Milan, Italy, in 1911, was a recognized film composer before he scored The Godfather, best known for his work with Federico Fellini (La Strada, The Nights of Cabiria, La Dolce Vita, 8½, etc.). Rota's lengthy collaboration with Fellini has been compared to Bernard Herrmann's with Hitchcock, so perfectly did the two mesh creatively. Rota also scored films for Luchino Visconti (Le Notti Bianchi, Rocco and His Brothers, The Leopard), Franco Zeffirelli, King Vidor and others, but he is most associated with the films of Fellini and the Godfather trilogy. 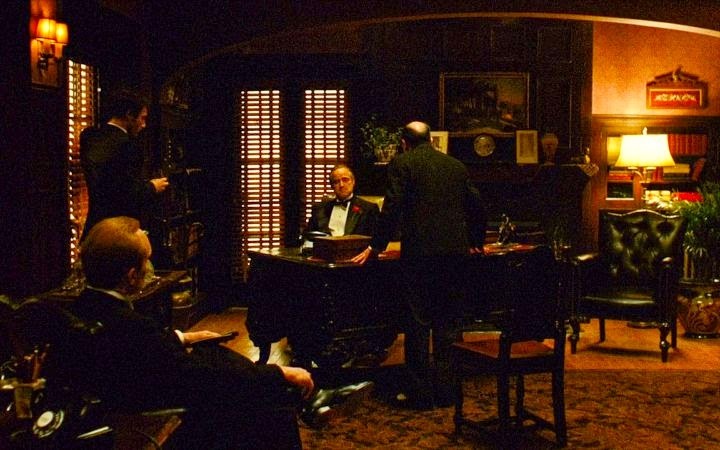 As with so many aspects of the production of The Godfather, the studio was at odds with director Coppola about who should compose its music. While Paramount wanted Henry Mancini, Coppola was determined to have Rota. Interestingly, Rota was not particularly keen on the project but, when Coppola agreed to his exacting terms, he set to work. In addition to Rota's score, the film includes other music - popular songs of the era in which the film is set, classical pieces and source music by Coppola's father, conductor/composer Carmine Coppola. James M. Keller, author and program annotator for San Francisco's symphony and New York's philharmonic orchestra, writes of the director/composer collaboration: "What Coppola requested and got from Rota was a score that didn't so much parallel the film's action as to reinforce its psychological undercurrents and to suggest its locales, specifically its scenes in Sicily and the importing of that essence to an Italian-American context." The music Rota developed was - and remains - intrinsic to the film's ultimate triumph. The American Film Institute ranks the score #5 on its 2005 list of "The 25 Greatest Film Scores of All Time" and Rota had initially been Oscar-nominated for his work. However, he was disqualified when it was learned that a section of the music he composed for a specific sequence was a reworking of something he'd done on one of his previous films, Fortunella for director Eduardo De Filippo, in 1958. 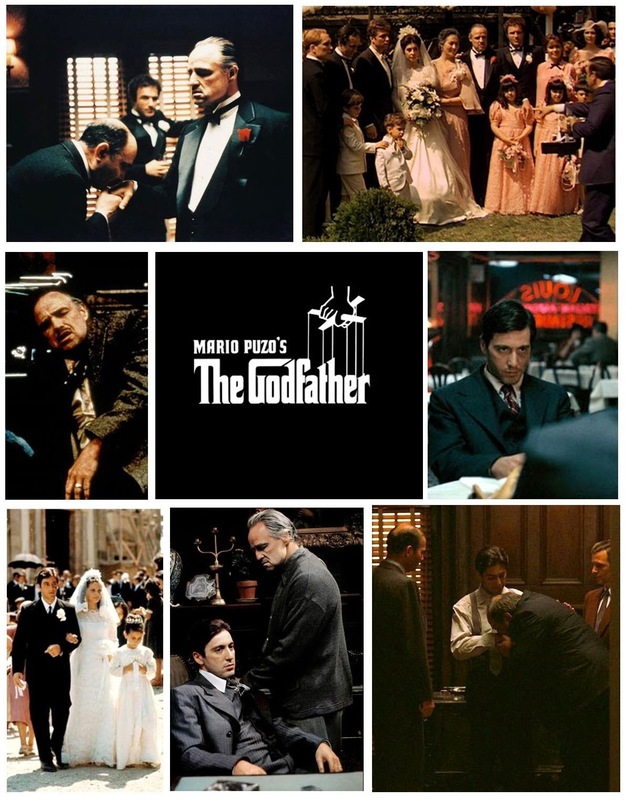 Curiously, though The Godfather, Part II (1974) used elements of that score again, the Academy didn't object and Rota won an Oscar for his Godfather II score. You may wonder how it is done - the screening of a film, minus its recorded score, with live concert performance of the missing music. To begin with, the film's score is digitally scrubbed (or stripped) from the soundtrack. 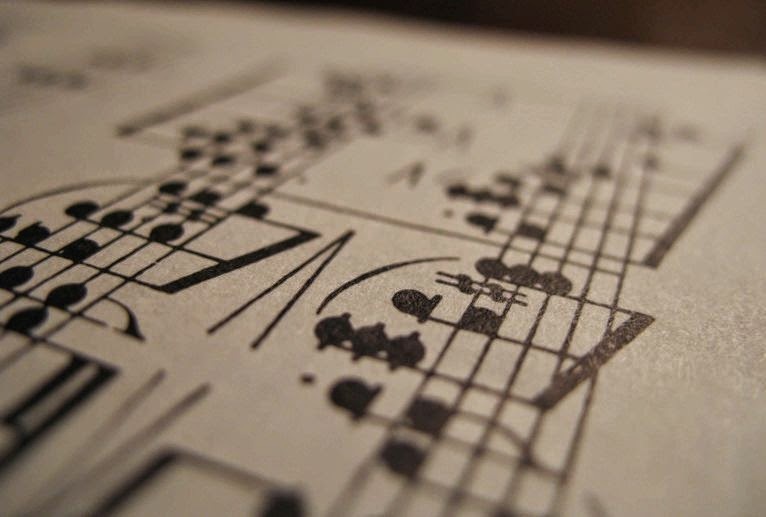 It is the process of reconstructing the score for live performance that can become complicated. Conductor/composer Justin Freer, who prepared and conducted the San Francisco Symphony's Godfather presentation, discovered that though much of Rota's score, archived in Paramount's music library, was intact, not all of it was in fully orchestrated form. Freer also worked from lead sheets where they were all that existed but, as he told James Keller, the project "involved a great deal of transcription and taking down musical lines from the film itself. Even when cues are fully fleshed out, that isn't necessarily what appears in the film. It's very common that edits are made on the stage during recording sessions, but that edits aren't recorded by hand by anyone in the sound booth." With Francis Coppola involved and cooperative throughout, Freer worked hard to make sure the score was, as Coppola hoped it would be, faithful to the original 1972 film version. The obvious challenge for conductor and orchestra in performance is to synchronize the music with the film, especially when there are changes in movement or tempo. From our birds-eye-view orchestra seats in Davies Hall, we were able to see that Freer was following a monitor on his podium that displayed the film with a fast-paced series of moving-bar and flashing-dot cues superimposed onto it. The monitor also indicated running time in one upper corner of its screen and, in the other, what appeared to be a time code that corresponded with numbers written in the musicians' sheet music. Quite a process, quite a result. To watch, onscreen, a film of The Godfather's visual and narrative power while listening to its evocative score performed live in a world-class symphony hall is thrilling. In the darkened hall, the full-house audience falls silent. Slowly, a solo trumpet plays a spare melody, a forlorn tune that seems from a faraway place and a time long ago. More silence, more darkness. Then comes the sound of a man's voice, heavy with an immigrant's accent. "I believe in America..." he says, and the ageless saga begins. The Godfather is currently touring concert halls around the U.S. and the world. Click here for the schedule. To learn more about the San Francisco's Symphony's film series, click here. Tickets for this film series performance were provided by the San Francisco Symphony. Many thanks to that fine organization. Sounds like a wonderful live experience! It's a one-of-a-kind experience - highly recommended! Thanks for stopping by, Beth Ann. Wonderful post Lady Eve. I just saw the Godfather again last week, after skipping it many times on television. But as in any number of re-views its a powerful film and its score is emotional and evocative and reinforces the story-telling. What a great experience you had.Thank you for sharing it and giving us the background on why it worked so well on screen. Thank you, Christian, it was an exciting event (and, happily, sold out). 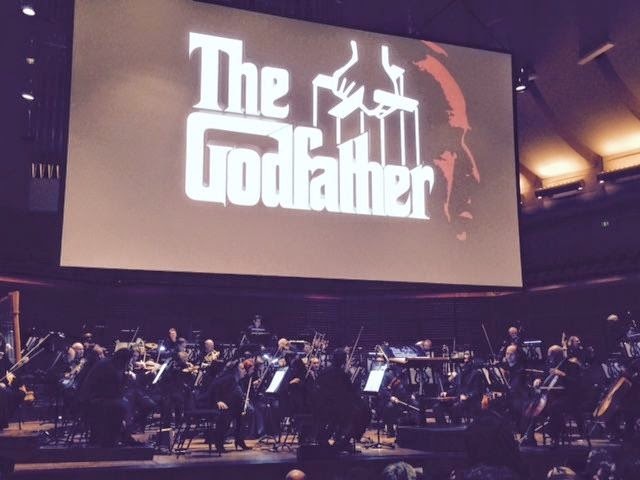 You'll have a chance to see The Godfather with live orchestra, too, if you're up for it. The San Diego Symphony is on its concert tour schedule in late April. Very entertaining and informative post, Eve. 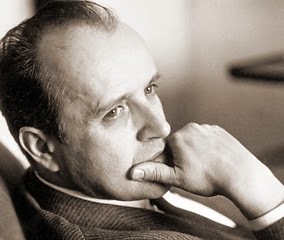 Nino Rota is one of my favorite film composers - he's so evocative, whether it be for the Godfather or his memorable music for Fellini (the soundtrack for Juliette of the Spirits is magical). It seems to me that the films I watch multiple times over the years all have great scores - it really is a vital part of the experience, of creating an alternative world on film. Sounds like you had a great time. MCB, Seems to me that any film worth watching multiple times pretty much has to be superior on every level, and music is always one of the key elements of a great film. I've seen three classic films at the symphony so far and each is a film I've watched countless times. Each, of course, has a superb score: Casablanca (Max Steiner), Vertigo (Bernard Herrmann) and, now, The Godfather. I just wish the Symphony did this sort of thing more often. Every time I've attended, the performance has been a sell-out, so there is definitely a large enough audience to support such events. Fascinating post, Eve (and I'm envious, of course, that you got to see/hear this event). In addition to the synchronization, I'd imagine the volume control was a tremendous challenge, too (though the abilities of professional musicians never cease to amaze me). Love that you thought about the challenge of volume control, Rick. During the concert I was aware how skillfully the orchestra was accompanying the film in terms of synchronization and volume. When I read your comment I was reminded of musical terms for "softly" and "loudly." From pianissimo to fortissimo and everything related and in between (con brio! subito! ), what symphony musicians are capable of is amazing. Sounds great. It's playing later this month in Chicago, but I won't be able to make it. I love the idea of this series, and hope they can do THE ADVENTURES OF ROBIN HOOD one day. I would love to see that live with the orchestra, especially with the Chicago Symphony Orchestra, which has one of the best brass sections in the world. So glad you were able to experience this Patty. Hi Kevin, great to hear from you. I don't know if you've ever attended one of these film-with-live-orchestra screenings (other than silent films, an entirely different thing), but it's definitely a must-see/"bucket list" kind of experience. From what I can tell, it seems every year a different set of films tours the concert circuit. Hopefully, "Robin Hood" is on its way to Chicago. Great post, Patty. I've never had this experience in a theater with a non-silent (otherwise known as "talkies") film and it sounds wonderful. I love that the combined mediums of film and music continue to find new ways to wow us! Hi Marsha. I hope you have an opportunity one day to see a sound film with live orchestra. Living where you live, I'm sure you will. Films from various decades have gone on tour (Wizard of Oz, Casablanca, Singin' in the Rain, Vertigo, Godfather) and what they all seem to have in common is that every one is a certified classic with an equally classic musical score.